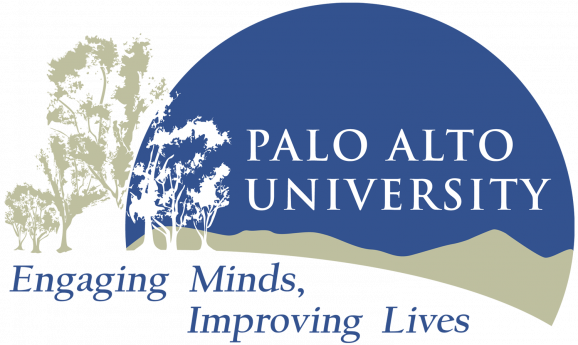 Palo Alto University (PAU) invites applications for an Assistant or Associate Professor in LGBTQ clinical psychology, with competitive salary, for an appointment starting Fall 2019. Tenure-track or teacher-scholar faculty lines are both options for the position depending on applicant’s fit, background, and preference. This position is open to candidates with expertise in LGBTQ psychology and a demonstrated commitment to diversity and cultural competence in research, teaching, and clinical practice. A major and essential role of the position will involve providing clinical supervision to pre-doctoral students and directing PAU’s Sexual and Gender Identities Training Clinic (SGIC), an LGBTQ specialty clinic housed within the University’s in-house training clinic, the Gronowski Center. The faculty member should also have an active and productive program of research and/or scholarship, preferably related to LGBTQ psychology, and may supervise student research at the graduate and undergraduate level. The faculty member may also choose to teach courses in their area of expertise within the Department of Psychology at PAU. Applicants should have assessment and treatment expertise in clinical work with diverse LGBTQ populations. Prior experience supervising and/or teaching is desired, but not required. We seek candidates who can contribute to diversity and equal opportunity in higher education through their teaching, research, and service. Applicants must have a Ph.D. or Psy.D. from a clinical, counseling, or school psychology program, have completed an APA-accredited internship, and be eligible for licensure in California. Application Procedure: Applicants should electronically submit: 1) Cover letter stating interests and fit, 2) CV, 3) Three letters of recommendation (indicate names and emails for recommenders within cover letter), 4) Sample reprints or pre-prints of scholarly work; 5) Statement of clinical supervision and mentoring philosophy related to the assessment and treatment of diverse LGBTQ populations; and 6) Sample teaching evaluations (including supervisory evaluations if available). Review of applications will begin immediately and continue until the position is filled. Materials should be submitted to Diana Tran (dtran@paloaltou.edu). Questions should be directed to Dr. Kimberly Balsam at kbalsam@paloaltou.edu, search committee chair. Institutional Information: PAU has two APA-accredited doctoral programs (a PhD program and a joint PsyD program with the Department of Psychiatry at Stanford University), an undergraduate completion program in Psychology offering majors in Psychology and Social Action and Business Psychology, a master's program in Psychology with plans for expansion, and a CACREP-accredited mental health counseling master's program with emphases in Marriage and Family Therapy and Counseling. PAU offers a collegial and productive work environment in the San Francisco Bay Area, a competitive salary, and an attractive benefits package. The Ph.D. program includes three areas of intensive training: classroom instruction, clinical practice, and research. It has seven areas of emphasis: LGBTQ, Child and Family, Diversity and Community Mental Health (DCMH), Forensic, Meditation and Psychology, Neuropsychology, and Trauma. PAU operates an in-house community clinic, the Gronowski Center, and advanced students are placed at off-site practicum placements around the Bay Area, including VA Medical Centers, community clinics, and schools. As an institution, PAU highly values and supports education and programming related to diversity, and recently was selected for the 2017 American Psychological Association Suinn Minority Achievement Award for excellence in the recruitment, retention and graduation of ethnic minority students. See diversity.paloaltou.edu for details about PAU diversity resources, culture, and programming. See https://www.paloaltou.edu/graduate-programs/phd-programs/phd-clinical-psychology/areas-emphasis/lgbtq-psychology for information about our LGBTQ Area of Emphasis at PAU. PAU’s student body is diverse, engaging, and highly invested in their education and in improving the lives of others. Palo Alto University is an Equal Opportunity/Affirmative Action Employer.